Oculus has formalized the Rift S, an improved version of the Rift. Here are the improvements, the release date and the price of this new virtual reality headset. Released in the third quarter of 2016, the Oculus Rift has established itself as one of the best virtual reality headsets. This headset, working with a high-end PC, however, has hardly changed since its release. 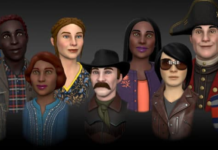 Oculus took advantage of the 2019 GDC to introduce its successor, the Rift S, and introduced the improvements to the original model without forgetting to mention its price and its approximate date of release. The Rift S is not really a new virtual reality headset. It is above all a version 2.0 of the Rift released in 2016. 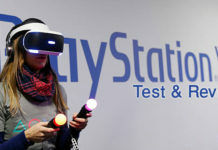 The games and applications of the Rift are compatible with the S version. Here are the main improvements. 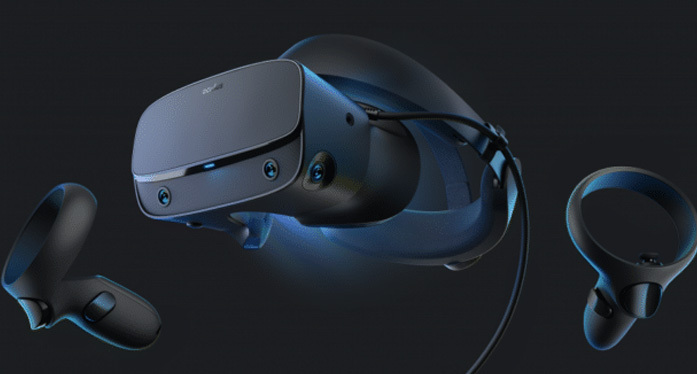 Oculus said the new headset would use two OLED panels with a resolution of 1280 x 1440 pixels each, for a total resolution of 2560 x 1440 pixels. This represents 40% more pixels than its predecessor and above all, each pixel now has 3 subpixels instead of two. A more detailed image certainly but blacks less deep because of the LCD. The refresh rate goes from 90 Hz to 80 Hz. The viewing angle remains 110 degrees. The Rift S uses, moreover, new generation lenses similar to those of the Oculus Go. These lenses make it possible in particular to eliminate the “God Rays” effect reproached to the Rift. Although not communicated, the field of view should be quite similar to its predecessor. 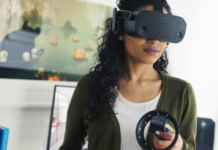 Unlike the Oculus Rift’s Room Scale, which required the configuration of external sensors, the Rift S uses 5 on-board cameras for motion tracking. 2 are on the front, 1 on each side and one finally is positioned on the top. The field covered by motion tracking should therefore be wider than that of the Quest which will only ship 4 cameras. Few changes to note at the controller level. They are similar to the original Oculus Touch except that the tracking ring is on the top and not on the bottom. These are the same controllers as those of the Oculus Quest. While the classic Rift used a semi-rigid strap, the Rift S adopts the rigid Halo type strap that is found on the PlayStation VR. Larger, this strap system is also more comfortable because allowing a better balance of pressure on the head. The Halo strap system was made in association with Lenovo. Oculus has reviewed the gauge at the nose to allow less light to pass. No hardware setting of the interpupillary distance on this model but a software setting. On the audio side, the S version uses a system similar to Go and Quest with the sound passing through the side straps. A more natural sound that also allows you to listen to the environment. However, you can choose to use your own headphones with a 3.5mm jack. 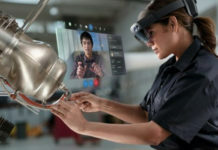 With the marketing of this headset, Oculus changes the computer recommendations. Previously, the company evoked an i5 4590 processor, 8 GB of RAM and a GTX 970 graphics card to play optimally. It specifies compatibility with the AMD Ryzen 5 1500X and NVIDIA GTX 1060 and AMD Radeon RX 480 graphics cards. This means that most new PC configurations include more powerful components. An AMD Ryzen 5 2600 processor, an NVIDIA RTX 2060 and 16 GB of RAM should provide significant comfort to the players. In addition, such a configuration can be purchased from $800. For equivalent power, it was necessary to pay nearly $1500 to the marketing of the subsequent model. Thus, the Oculus Rift S will be compatible with a large fleet of machines. Oculus indicated that the Rift S would be available in the spring without giving an exact date. Its selling price will be $399 or half the price of the Rift when it is released. Note that the image of its predecessor, the Rift S will also require a particularly strong PC especially with regard to the video card. You will also need a 1x USB 3.0 port for the headset, but since there are no more sensors, this is the only USB port you will need. There is a Mini DisplayPort adapter in the box for laptops. Oculus has not mentioned VirtualLink support, there may be an adapter in the future. Oculus has formalized the Rift S, an improved version of the Rift. 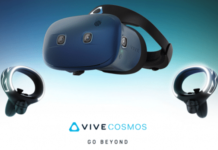 Here are the improvements, the release date and the price of this new VR headset. 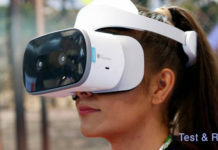 Previous articleOculus Go vs Samsung Gear VR: Which is the Best Mobile VR Headset?